I love Fall! It’s hands-down my favorite time of the year! Cover my house in pumpkins, fireplace in the morning, soup, jackets, earlier bedtimes… it all just makes me smile! My favorite part of it is all the traditions that come along with Fall, Halloween and Thanksgiving though! These last 4 months of the year are just fun! 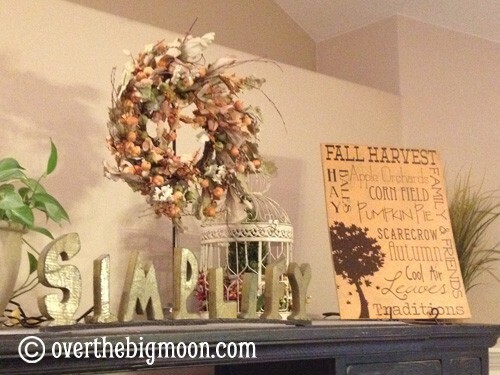 I’ve been ready to decorate for Fall for a month now! I pulled out my bins the other day and decided that before I decorated the house I wanted a new statement piece for the top of my entertainment center. Being that my hubby was nice enough to surprise me with a Cameo Silhouette a couple weeks ago I was ready to get to work! I’m super stoked with how the Large Fall Subway Art turned out it’s 18×24! I love it’s size! I think this size would be super fun to hang on the wall too! It was so handy having Lisa’s Fall Fonts to use too! I was really happy with how the board color and distress look came out, so I wanted to show you how I painted it real quick! 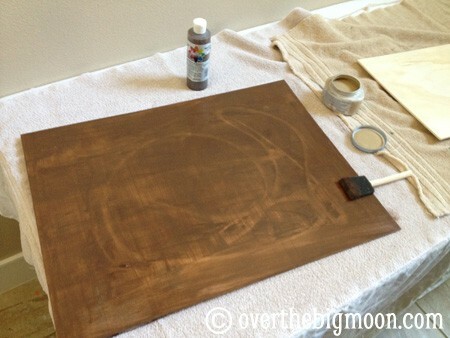 I started out by just painting a thin and messy coat of brown for the first coat. 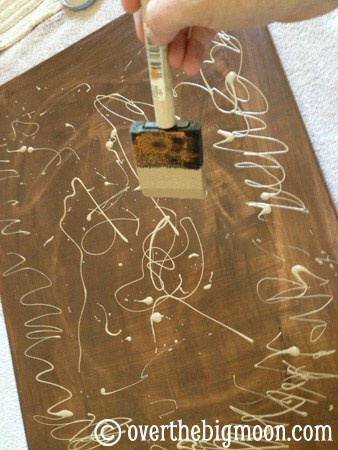 Then I just drizzled some tan colored paint all over. And I just smeared it all over on top of the brown coat. 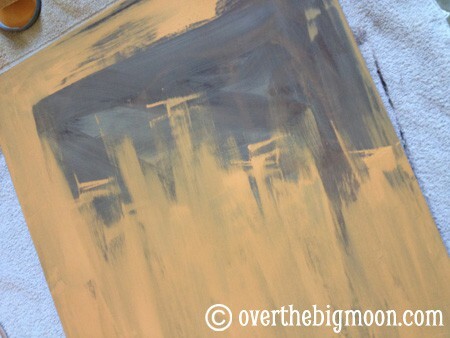 I wanted it all different directions and thicknesses to help create depth and texture. Some areas were tan, some were light brown and some were still darker brown. Then I painted a light coat of orange on top of that. I wasn’t trying to completely cover the brown, so it was sorta of messy, but in mostly straight lines. Here it is all painted! After it dried really good I sanded the crap out of it! 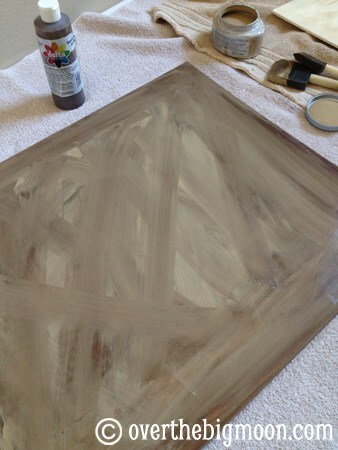 I mean seriously sanded – the edges the top – ALL OVER! It not only helped make some areas look more worn, but it made a very smooth surface for my vinyl to be applied to! On that note – I couldn’t just make myself a vinyl, so I am also offering this as a printable for you guys! I’ve got it available to download as a 8×10, 11×14 or 18×24! So go ahead and pick your size and bring a little Fall into your house! This is making me sooooo excited for fall! Love the printables, thanks for sharing! This is just the best to inspire and welcome autumn! thanks for sharing! 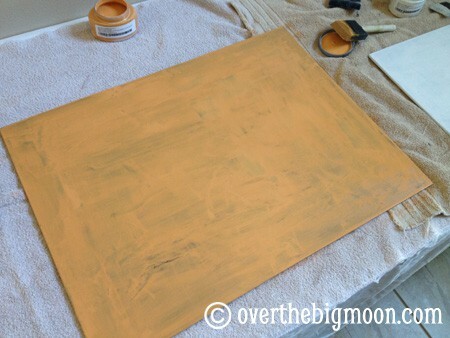 I may be confused…could I just use mod poge on canvas/wood with this fall artwork? How did you put it on your wood? Love the look just not quite sure how to do it? Michelle – So sorry I never saw this comment, back when it was left. You could probably mod podge the printable on. I actually used my Silhouette to cut vinyl – so my words and tree are vinyl. I just love this fall subway art!!!!! Awesome job! Thanks for letting us download these. Looking forward to more of your beautiful work!!!! It’s so fun! LOVE the color. Turned out great…. thanks for the downloadable designs! I love this I haven’t even made it yet and I am planning where it will go! Thanks for sharing! I love this! PInning too! I’m not usually enamoured with subway art, but this one is so inviting! Love it. This is a super cute idea! Thanks for Sharing. I love it!! You are so creative! !